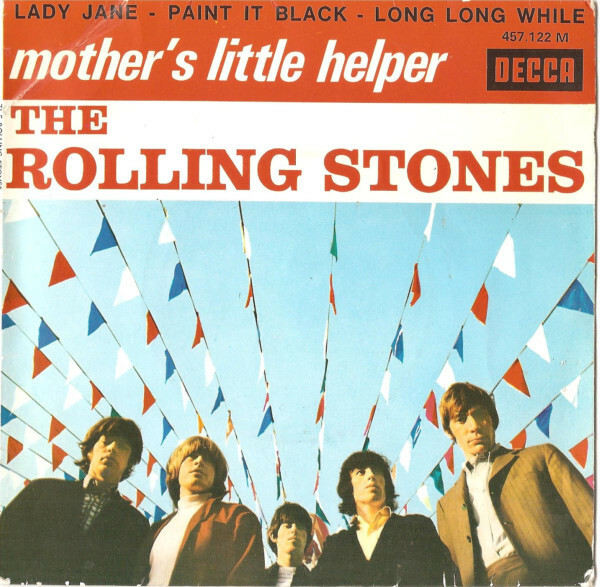 The Rolling Stones Song of the Day is Mother’s Little Helper. The song is the lead off song on The Rolling Stones Aftermath album and was written by Mick Jagger and Keith Richards. Aftermath is a big turning point in The Stones career. Every song on the album was written by The Rolling Stones- a big step forward that marks the end of the first phase of The Rolling Stones career and the entering of a golden age. As I wrote before if they had continued as they had been- covering others songs- as they did at the beginning and then later mixing in some of their own songs along with the covers they would never have gotten as huge or as great as they would later become. Aftermath was the start of something bigger. Mother’s Little Helper was released as a single in the US and peaked at #8 on the Billboard Hot 100 in 1966. The song is about the taking calming drugs by housewives. The song opens with the memorable line “What a drag it is getting old” which I first thought they were singing “What a drag it is growing up?” Both true. One of my first favorite Stones songs. One of my favorite Stones tunes. I think they coined a term here that is still in use today. It is a coming of age tune and I don’t mean just chronological age.